Chris inducted as President Elect. 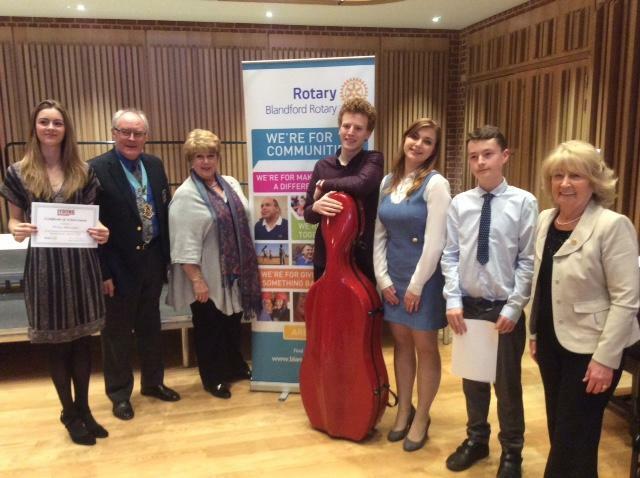 On Saturday 12th April four very talented young people from District 1175 travelled to Blanford Forum to compete in this year's Regional Final of Young Musician organised by Rotary International and sponsored by Harrods. This is an annual event that provides young musicians and vocalists with the opportunity to showcase their talent and perform on a public stage, battling it out for the celebrated title of 'Young Musician of the Year'. 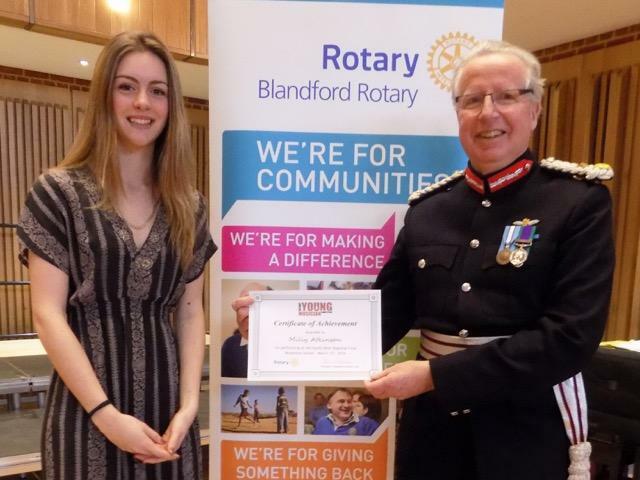 The four- stage national competition sees youngsters from across the UK showcase their musical abilities in front of a panel of judges and live audiance. Following being the winers in the Area rounds and then intense competition in the District Finals all four competitors performed extermely well at the Regionals. Milly Atkinson, a soprano from Plymouth, was praised by judges for the resonance of her top register and was comlimented on her French accent. Cameron Hughes from Truro wowed the audiance with his rendition of complex Cello Sonata by Prokofiev as well as a piece by Bach. 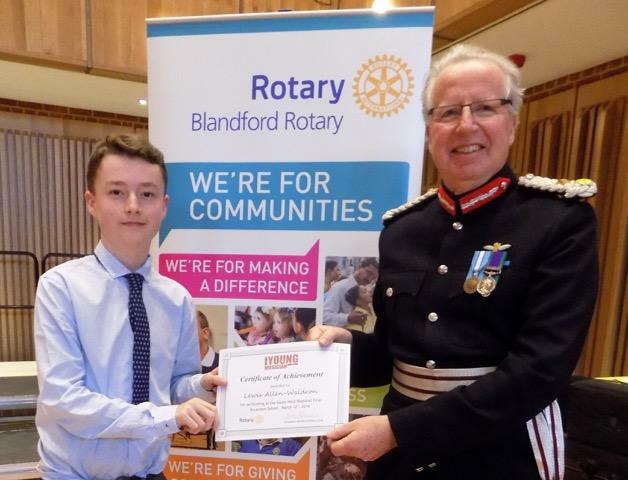 We were treated to some amazing jazz and classical music from thirteen year old Lewis Allen-Waldron, a clarinetist from Ivybridge who performed his favourites from Benny Goodman. 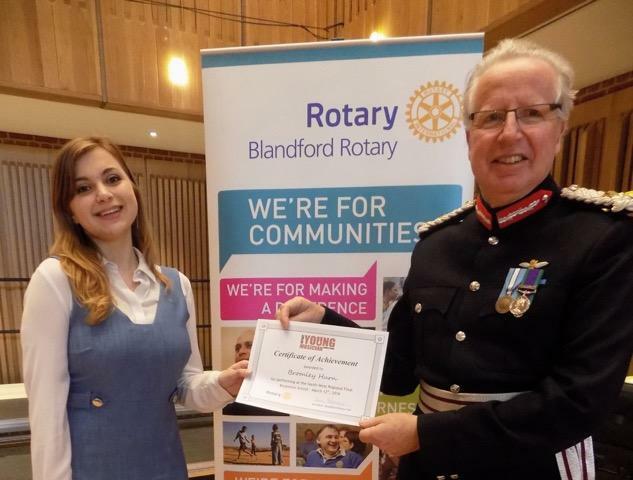 Mozart and a tribute to Artie Shaw and St Austell based Bromley Hurn delighted everyone with her charming performance of pieces ranging from Musical theatre to Puccini. 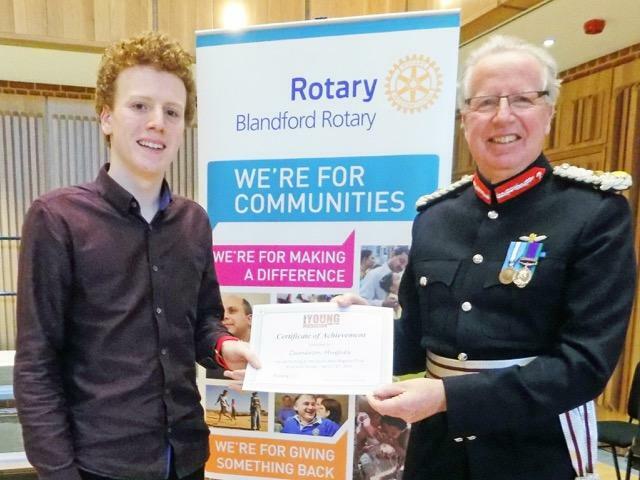 These young musicians, sponosred by the Rotary Club of Plymouth and St Austell, practise for hours a day and still find time for school work and hobbies.